drawmein: Appearance #26! 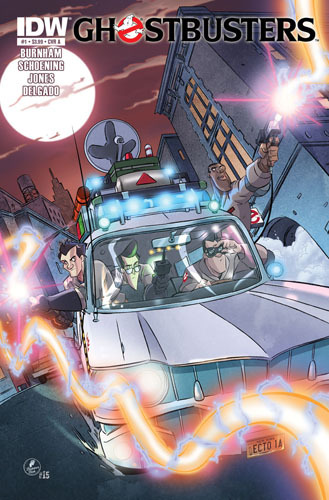 Ghostbusters #1 by Dan Schoening! "We're the best. We're the beautiful. We're the only... Ghostbusters." 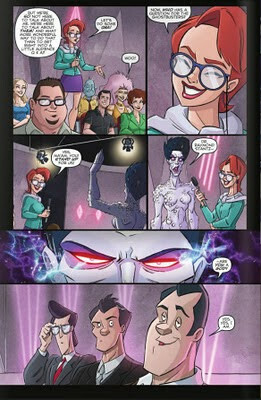 I'm in issue #1 of the new Ghostbusters series from IDW, drawn by the awesomely fantastic Dan Schoening! Back in March I believe they announced the new series, and I was already aware of Dan's Ghostbusters work. I'd found his Ghostbusters art on DeviantArt (do check it out) and could see the love of the movies in his work. Truely great stuff! He'd even worked on a Ghostbusters comic book pitch once before. The book is in great hands, and can't wait to see what's to come! As a child of the 80's, this is a truely awesome addition to an already impressively growing list of appearances.